The smell of Campfire and melted marsh mallows is a smell of summer camping that I love! 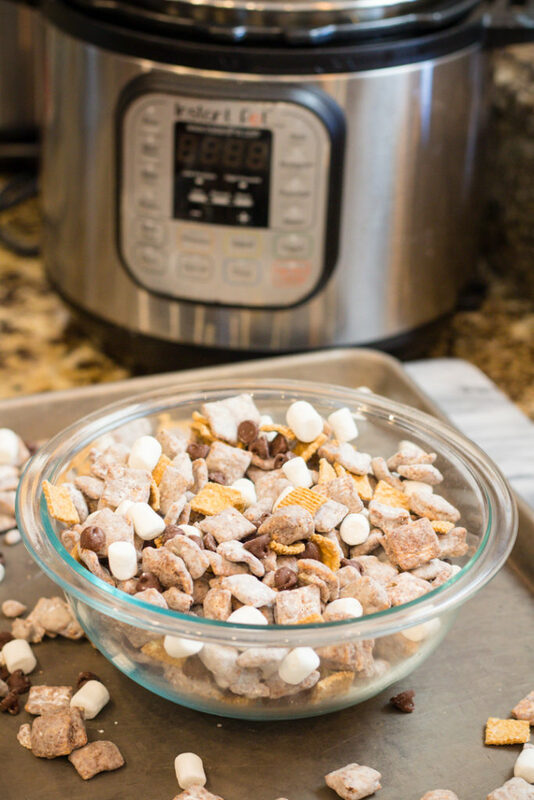 But why not bring S’mores indoors with these S’mores Muddy Buddies? 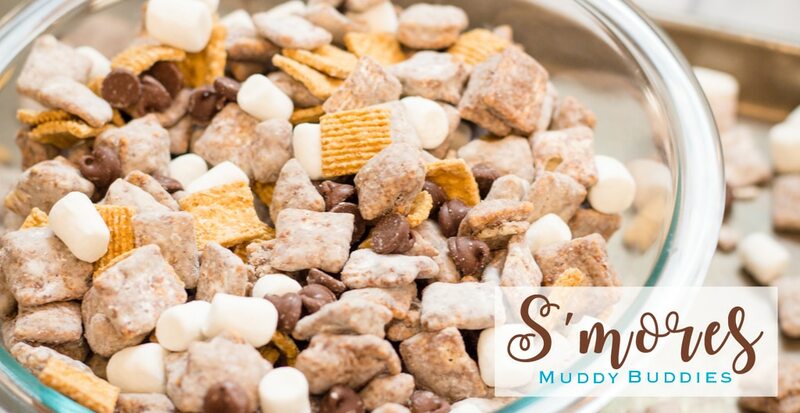 Your favorite Muddy Buddies recipe with grams, chocolate and of course marsh mallows combine to the perfect hand held snack. You know when you hear the word “S’mores” you think of a summer camping trip with friends or family around a campfire. Oh the memories! 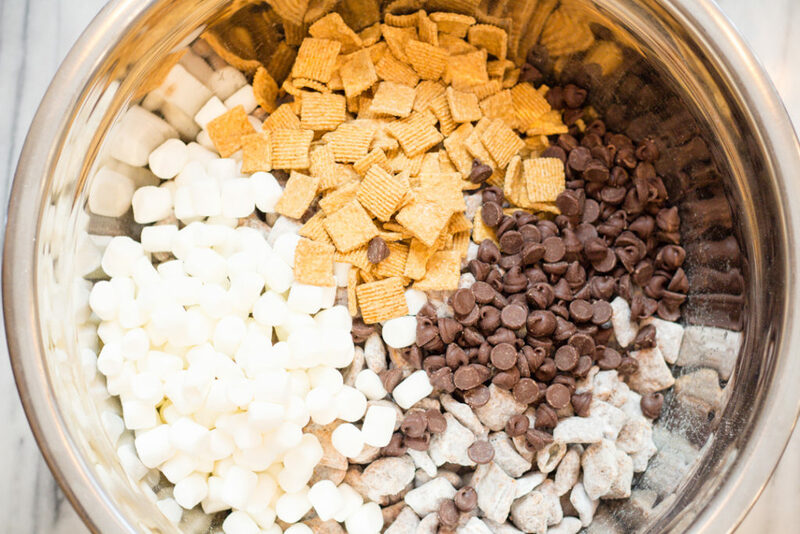 Let’s bring those fun flavors indoors with S’mores Muddy Buddies filled with grams, chocolate, and of course marshmallows. Help me now because I want the entire batch to myself. Don’t you? 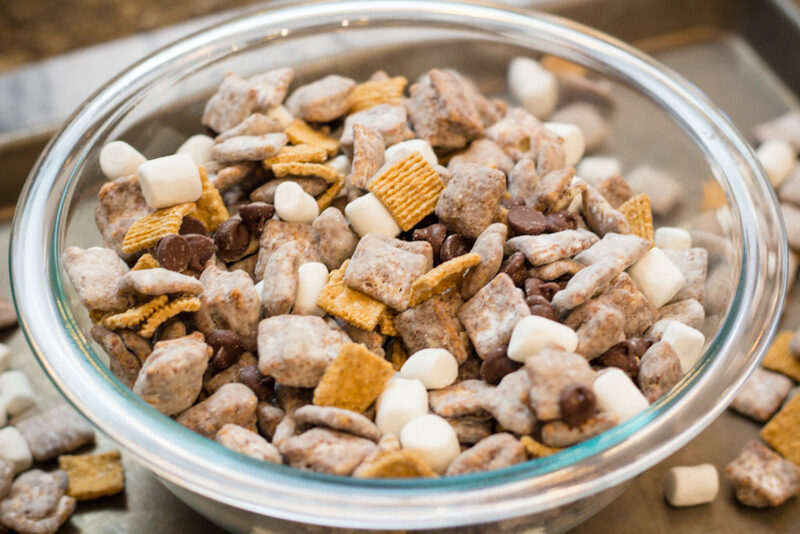 Muddy Buddies are a snack mix made with Chex Cereal, chocolate, and coated in powdered sugar. Often times Peanut Butter is added along with candy or nut pieces for added fun! Snack Mixes come in sweet and salty, dessert and healthy. 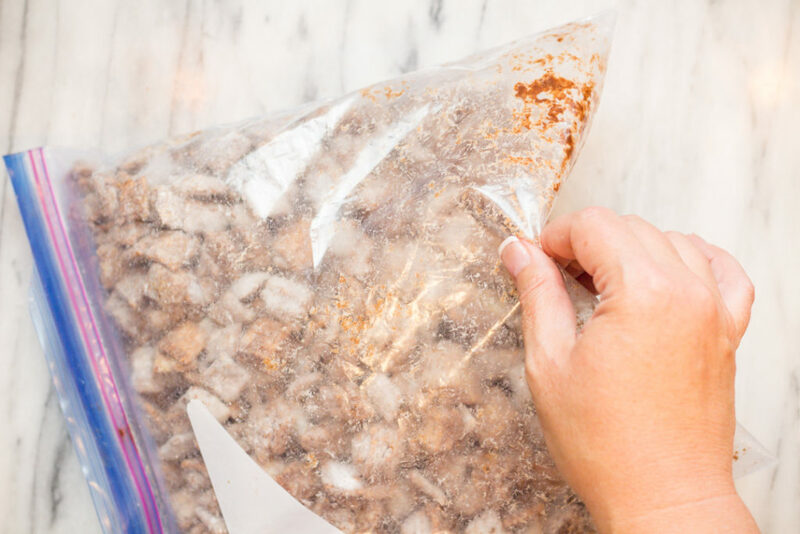 These Muddy Buddies are definitely a sweet snack that have become a favorite in many homes. So make a batch, your life will be changed. Also check out these other great Snacks! 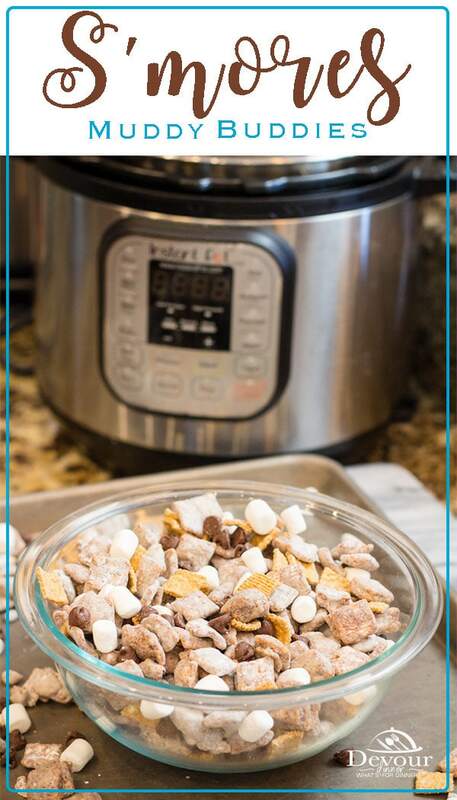 I prefer to melt the chocolate and peanut butter using my Instant Pot Pressure Cooker. Why? Well, there is no hope of me burning it! haha. It’s true. 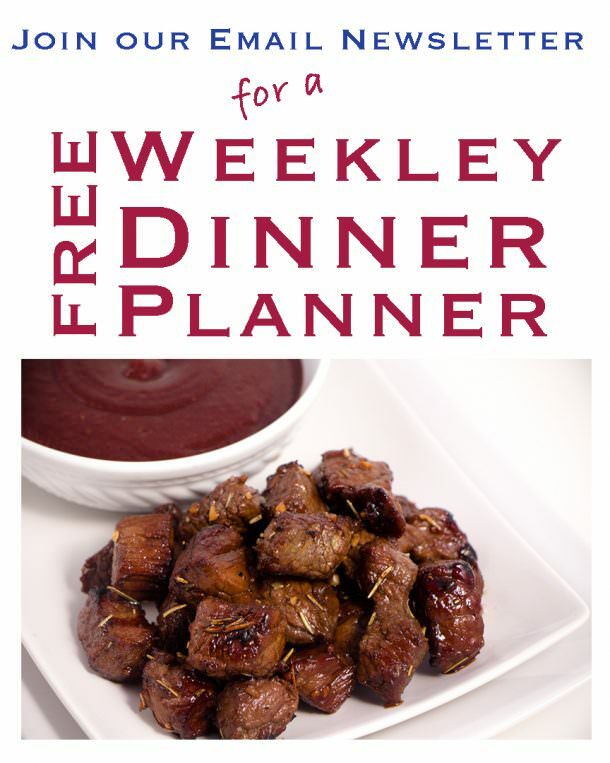 The Instant Pot will gently melt the chocolate to a smooth creamy consistency that is perfect. However, you can also melt chocolate on the stove or in the Microwave. You decide. Once the chocolate is melted and poured over the cereal, coat the cereal evenly with the chocolate mixture. Then add powdered sugar to coat over the chocolate. Shake in a gallon ziplock bag to coat. OH YUM! It’s that simple! Then allow to cool for a few minutes and add your grams, marshmallows and extra chocolate chips. It’s really that simple. The perfect snack mix for the movies, family game nights or well, just because! 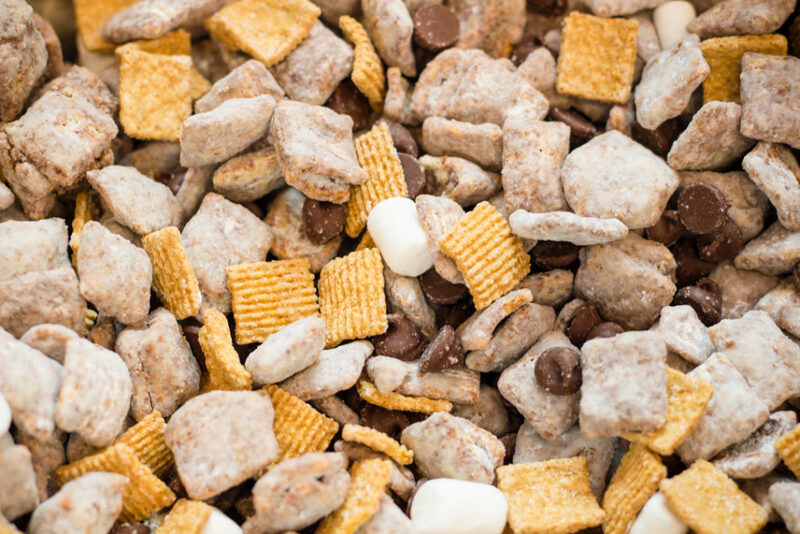 Is Muddy Buddies and Chex Mix the same thing? Well, yes, it can be. However Chex Mix can also be a salty mixture so although the term is used interchangeably, it doesn’t always mean the same thing! 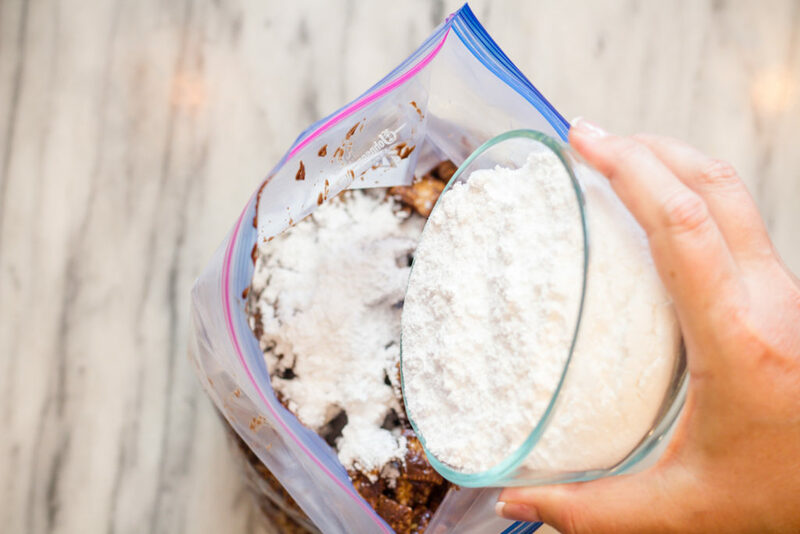 Use a Gallon Zip-lock bag and add powdered sugar. Then SHAKE SHAKE SHAKE! It’s so easy with no mess! Looking for more GREAT SNACK Recipes? 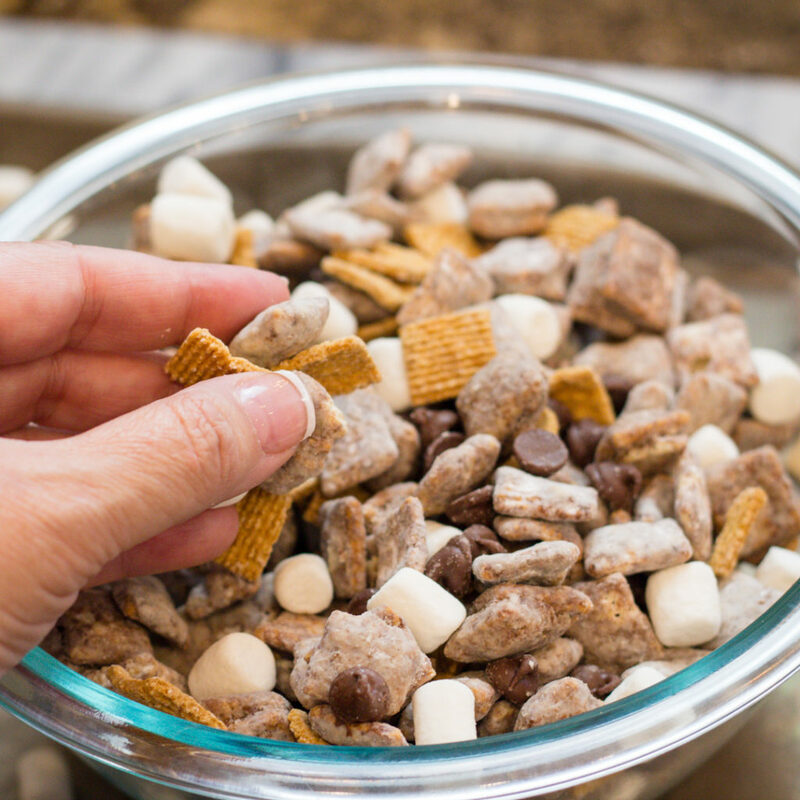 Take Camping indoors with these S'mores Muddy Buddies. 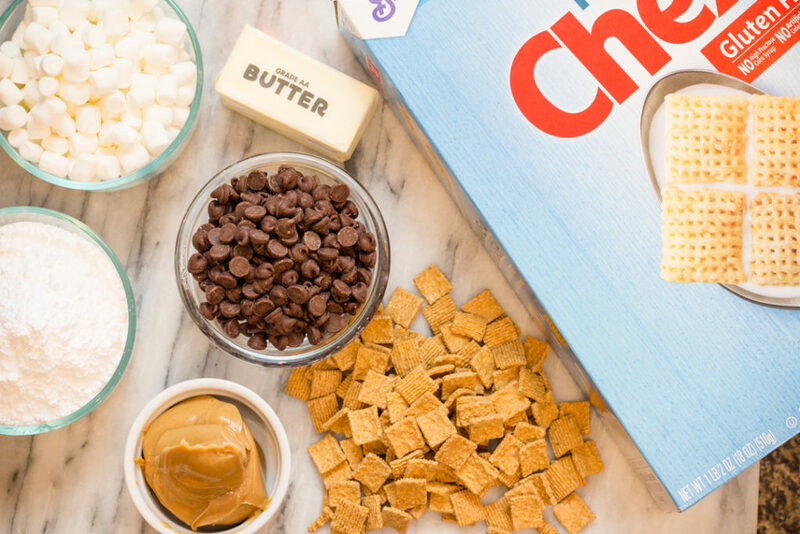 Chocolate, Grams, and Marsh Mallows in this fun snack treat you will love! Melt Chocolate: Instant Pot: Add 3-4 cups water in your Instant Pot with a larger bowl on top. Set to Saute and allow to get hot. 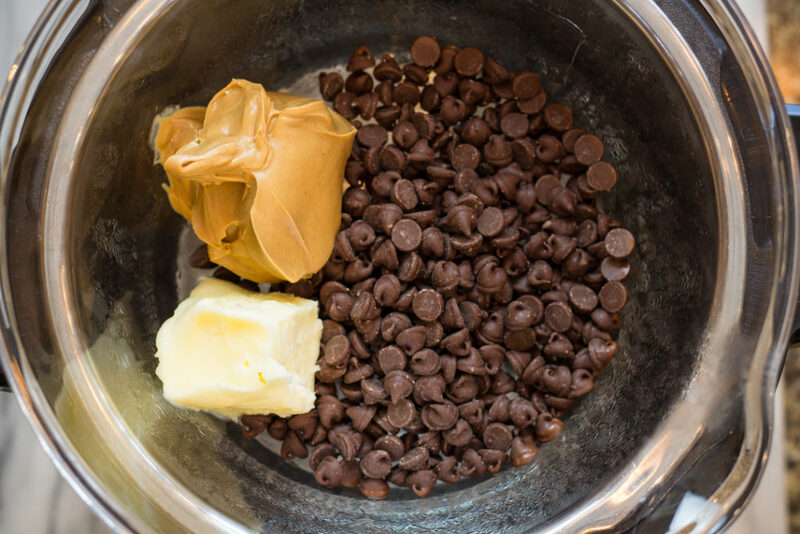 Pour 1 1/2 cup chocolate chips, 1/2 cup peanut butter, and 1/4 cup butter in bowl. As bowl heats up, chocolate will melt. Stir melted chocolate, peanut butter and butter together until smooth. Add 1 generous cup of Marsh Mallows, 1 Cup of chocolate chips, and 2 cups of Golden Grams and stir. 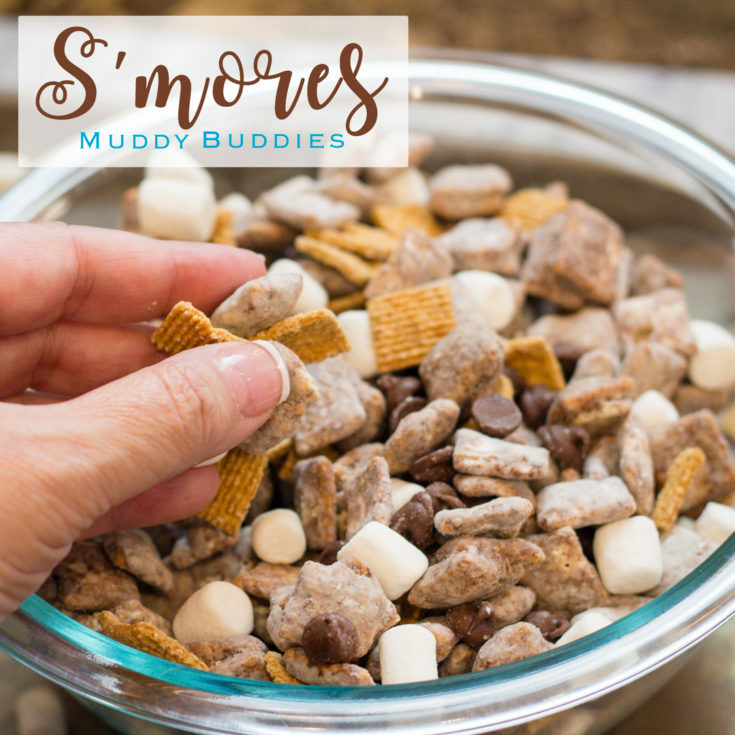 Enjoy your S'mores Muddy Buddies Snack Mix! Place Chocolate, peanut butter and butter into a microwave safe bowl and microwave for 2 minutes stirring after every 30 seconds until smooth.